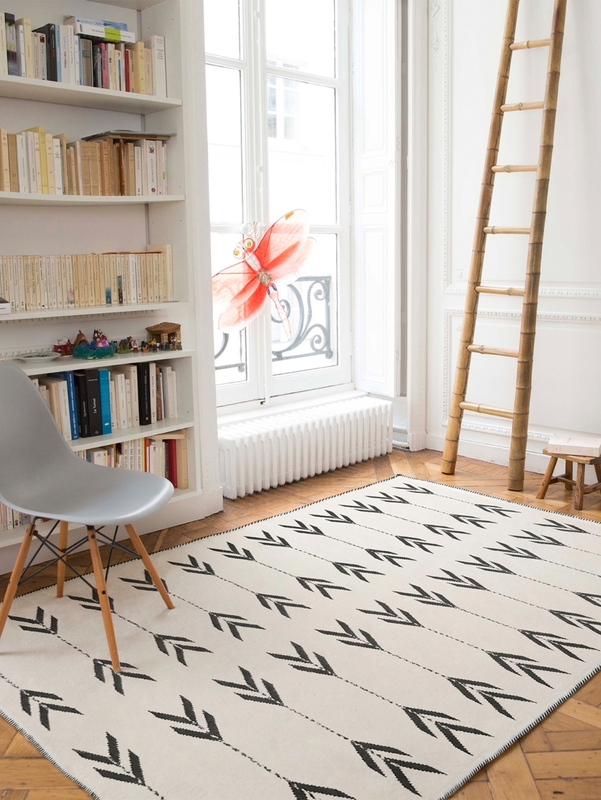 The Modern Kilim takes on an original approach to the codes of Kilim rugs. 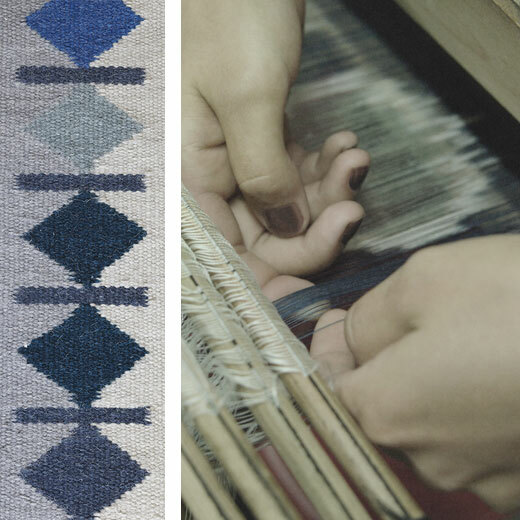 The collection mixes tradition and modernity with the use of ancestral techniques to offer en vogue rugs. While some models are sober and bring a touch of softness with their discreet colours, other pieces adorn floors with geometric patterns and more intense colours. 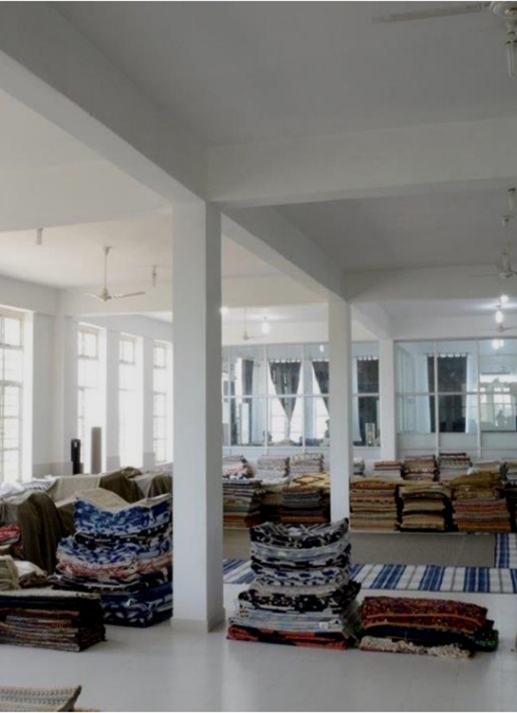 The rugs from the Modern Kilim collection are made in India. They are individually hand-woven, with 100% natural fibres such as wool or cotton. They can easily be integrated into elegant and minimalist environments. The word Kilim originates from the Persian guilim or gelim, and was originally hand made produced by nomads. The rugs are woven instead of being knotted, which gives them a softer and lighter finish. This flat weaving technique making it easier to work with geometric patterns. The patterns on the kilim are created directly on the weft threads that are then turned over, making the pattern visible on both sides. The greatest advantage of this rug is that it is reversible; it can be turned over when stained, which extends its life. EDITO has taken care to establish real connexions with all its manufacturers. We visit every production site to check their quality and make sure that they are respectful of their employees and the environment. The workshops selected in India do not use child labour and have the “Care and Fair” label - an organisation that fights against illegal child labour in the rug industry and improves the living conditions of weavers and their families in the rug-producing areas of Pakistan, India and Nepal. “Care and Fair” Is an initiative of European rug manufacturers and is a joint commitment between the industry leaders for responsible manufacturing and trade. Edito has also established a lasting relationship with each of its suppliers. This way, the brand able to be ensure the quality of its products.